The discovery of the gene editing method known as CRISPR1 eventually led to a novel gene editing tool called CRISPR-Cas9,2 a form of molecular scissors that allows for far more accurate DNA editing for the removal, addition or altering of sections of a DNA sequence. A layman’s explanation of the technology is presented in the video above. CRISPR is the acronym for clustered regularly interspaced short palindrome repeat, and its function was initially discovered in 1993 by Spanish researcher Francisco Mojica.3 Mojica hypothesized CRISPR is an adaptive immune system, which has since been confirmed. Two decades later, in 2013, the technology known as CRISPR-Cas9 was successfully used to edit the genome in eukaryotic cells for the first time, demonstrating targeted genome cleavage could be achieved in mouse and human cells. As reported by Nature4 in 2016, “Researchers use CRISPR-Cas9 to make precise changes to genomes that remove or edit a faulty gene. It has worked on nearly every creature on which they have tested it, including human embryos.” In the wake of these discoveries, a number of CRISPR-based companies have sprung to life with the hopes of furthering gene editing in everything from food and medicine5 to eventually producing “designer babies” that have had unwanted genetic traits edited out. 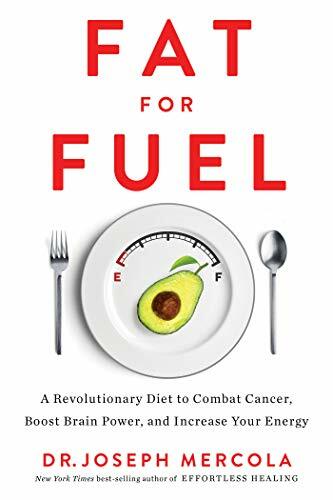 Fat for Fuel: A Revolu... Dr. Joseph Mercola Best Price: $4.55 Buy New $10.00 (as of 04:25 EDT - Details) Indeed, CNBC16 and Market Watch17 reported CRISPR stock dropped between 5 and 13 percent within days of the findings’ publication. The two studies — one performed by scientists at the Karolinska Institute18 in Sweden and Cambridge University in the U.K., the other by the Novartis Research Institute in Boston19 — both found the same thing. According to the Novartis team, p53 lowers CRISPR efficiency seventeenfold in pluripotent stem cells — stem cells that can turn into virtually any other cell and are therefore a primary candidate for the development of therapies targeted at a wide array of diseases. This helps explain previous findings that suggest CRISPR isn’t nearly as efficient as initially hoped. According to STAT News, “CRISPR is woefully inefficient, with only a small minority of cells into which CRISPR is introduced, usually by a virus, actually having their genomes edited as intended.” Emma Haapaniemi, who led the Swedish team, noted that since cutting the genome is what activates p53, genome editing becomes a very difficult undertaking. In other words, even if scientists become exceptionally adept at accurately cutting out and inserting new DNA sequences, when the process works as intended, it’s because p53 fails to do its job, which significantly raises the risk of cancer formation. At present, any therapy based on CRISPR technology would have to involve three steps: Remove cells from your body; alter the DNA, and then reintroduce the cells into your body. However, CRISPR-based companies are also working on technologies for editing the genome right inside your body, without having to take out and reinsert the cells. This presents a far greater challenge, and while it would broaden the range of diseases that could be addressed, it may also be far more dangerous with any number of potential side effects — including cancer, according to these two studies. For now, it appears NHEJ doesn’t trigger p53 to undo the edit when used in regular cells, which companies using gene disruption take as a hopeful sign. (CRISPR Therapeutics, which has entered a joint venture with Bayer to create drugs for blood disorders and blindness using CRISPR technology, is one of these companies.) Therapies using CRISPR base editing, a technique that does not cut the two helix strands that trigger p53, may also avoid the carcinogenic problem posed by p53. CRISPR may be far more sophisticated and precise than previous genetic engineering techniques, but precision is no guarantee of safety, as these two studies reveal. There have been many occasions where a genetically engineered (GE) crop has been shown to be unexpectedly toxic or allergenic when the conventional crop had no such issues. The reality is that scientists really don’t know what side effects may be produced by DNA tampering. The effects are extremely unpredictable. Even CRISPR, for all its precision, creates off-target effects. This is a serious concern not only in medicine but also in agriculture. As noted in a recent paper,23 “CRISPR technology is erasing barriers to genome editing and could revolutionize plant breeding.” In plants, the potential for unintended effects such as toxicity and allergic potential remain high even with CRISPR technology, for the simple fact that when you alter one or two genes in a genome the side effects ripple through the whole genome. A new protein could be created in the process that could be toxic or allergenic, or you could change the biochemical pathways of a plant, making it less nutritious or more toxic. Moreover, most GE plants are engineered for the express purpose of either expressing an internal insecticide or to tolerate direct herbicide application. So even if CRISPR technology improves the specificity of the genetic alteration, the toxic effects of herbicides and insecticides in the plant remain an issue. The risks increase exponentially when you start talking about making “designer babies.” As mentioned earlier, the enzyme called Cas9 allows for very precise gene alterations, and has been successfully tested in human embryos. Cas9 uses a specific RNA molecule as a guide to cut the DNA at the precise target. However, as noted by Nature,24 Cas9 sometimes creates unwanted mutations. This is yet another puzzle piece that would need to be perfected before we start designing humans without genetic predispositions for disease. 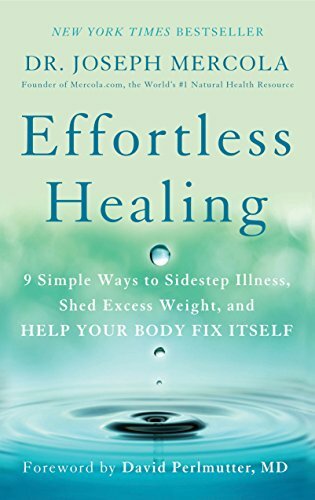 Over and beyond that, there’s also the fundamental issue of epigenetics, which posits that your environment (diet, lifestyle, toxic exposures and even emotional states) influences how your genes are expressed. One “compelling reason” given by committee co-chair Alta Charo, bioethicist at the University of Wisconsin in Madison, would be if both would-be parents have serious genetic disease, and gene editing of the embryo would be “the last reasonable option” to have a healthy biological child. Still, while designer babies are not in our immediate future, considering the pace at which scientific progress moves, it seems reasonable to suspect that genetic engineering of humans will eventually come to pass. CRISPR-Cas9 provides the means to do so already,27 but that doesn’t mean we’ll ever know enough about gene editing to actually do a good job of it. Clearly, there are as many hazards as there are opportunities for this and future gene editing technologies. Genetic diseases and defects could potentially be eradicated, and any number of diseases might be cured once they strike with this technology. On the other hand, introduced mutations or side effects might leave a child worse off, or cause unintended generational effects. At that point, it might be too late to fix or stop the problems we created. 2 YourGenome.org, What Is CRISPR-cas9?